The winner will be identified after government officials evaluate the top bid and close the deal within 30 days. The tallest lighthouse in New England will likely soon have a new owner. The federal government on Sunday closed out an auction for Boon Island Light Station, with the top bidder offering $78,000 for the lighthouse built in 1855 on a tiny rocky island 6 miles off Maine’s coast. Government officials now have 30 days to evaluate the top bid and close the deal, said Patrick Sclafani, spokesman for the U.S. General Services Administration. The winning bidder will be identified at that time. More than a dozen bidders were vying for the historic lighthouse. The new ownership will be the start of a new chapter in the odd history of Boon Island, where the English ship Nottingham Galley ran aground in 1710 in one of New England’s most infamous shipwrecks. The island’s first lighthouse, built for the War of 1812, was established about a century later, and the original tower was destroyed by weather in 1831, according to bidding documents. The keeper’s house and ancillary buildings are gone, leaving the property an isolated island off York with a 133-foot granite tower, said Jeff Gales, executive director of the United States Lighthouse Society. Bidding on the lighthouse, which is still active as a navigational aid, began in May and was originally set to end around noon on Aug. 12, but the government extended it. Bidding documents say the U.S. Coast Guard will continue to own and maintain the light itself. The federal government has sold or transferred more than 100 lighthouses since 2000, with 68 transferred at no cost to preservationists and 36 sold by auction to the public, according to data provided by the U.S. Lighthouse Preservation Society. 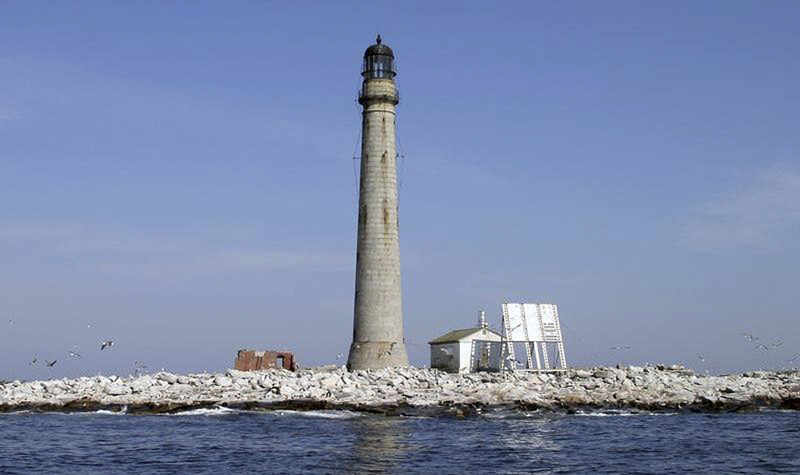 Some lighthouses, because of their location or condition, can be hard to sell – such as the Minots Ledge Light, which is located on a reef off Scituate, Massachusetts, and hasn’t attracted a single bid in seven weeks on the block. Others fetch a high price – Graves Island Light Station at the mouth of Boston Harbor went for a record $933,888 last year. Many avoid the auctioneer’s gavel because they are handed over to preservation societies that maintain them as historic landmarks. Boon Island’s lighthouse is the tallest in New England, though it’s not the highest above sea level in Maine – that honor belongs to the Seguin Light at the Kennebec River’s mouth. It is one of Maine’s 57 active lighthouses. The federal government is also auctioning Halfway Rock Light Station in Maine’s Casco Bay. So far it has attracted three bids topping out at $56,000.